The Sunday Alternative : Which Trent Host Has Broadcast The Most? 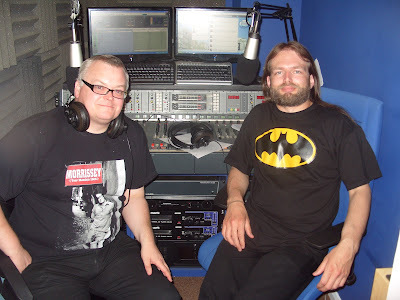 The show started life on Nottingham radio station Trent Sound before becoming a podcast. Everything you need to know is on the page so follow the links through the show's history and enjoy the music. The Sunday Alternative is a free podcast made for the love of discovering and sharing new music. I do it for free and am happy to do so. However, if you have enjoyed it then please do consider making a donation using this PayPal button. This will enable me to continue with this podcast and also to make other free entertainment, both in the fields of music and comedy, which I will make freely available online. There is of course no obligation, but many thanks in advance if you do. If everyone who hit this podcast paid one pound a month it would make a massive difference. Which Trent Host Has Broadcast The Most? Penny was away this week, so in stepped Trent Sound's very own super-sub Andy Haynes to join me for The Sunday Alternative. We have always had a good rapport, but have never done a show together, so tonight was a lot of fun. As we have both presented other shows as cover, we decided to work out who had broadcast the most hours on the station. I thought it would be close, but I also knew that he would win. He did! Who's Got The Cutest Cat?